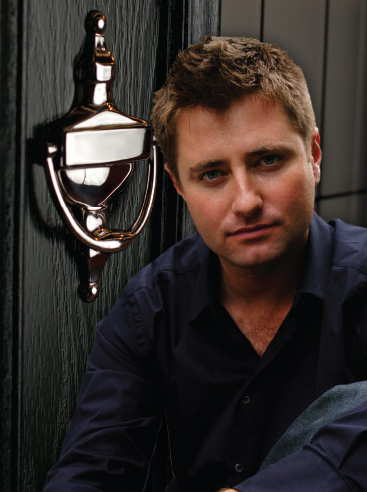 George Clarke talks to installers about the Truedor range and why they should look at it if they truly want something different to offer their customers. One of the main reasons why I agreed to put my name next to Truedor from IG Doors was because of the incredible range of products they offer. There is quite literally something for everybody. The thought process and commitment really struck me….It is not just from a technical and manufacturing perspective that this is impressive; it is the thought process and commitment behind it which really struck me. IG Doors clearly shares the same passion as myself for making a property look the best it can. We clearly share the same view that ‘one size does not fit all’ and that being able to cater to individual taste in today’s consumer market is paramount. This is a really important point for me. The fact that the Truedor range includes no fewer than 32 styles, each of which is then available in a vast array of colours, glazing options and hardware options is one thing. But what really makes it stand out is the fact that the doors have been designed specifically with the breadth of property types here in the UK in mind. It is not just one range of composite doors, it is three very specific ranges designed to sympathetically support the various types of properties we have. It is about matching doors to people’s homes. IG Doors shares my passion…..It is clear to me that IG Doors share my own passion for enabling and encouraging homeowners to make their homes individual to them, and that they understand the crucial role that a front door plays in the look and feel of the home; they understand how important it is to the homeowner. It is this refreshing approach which really attracted me to them. As an installer of composite doors I would encourage you to look very closely at what IG Doors has to offer you through their Truedor range. In my view it is their products coupled to their approach which makes them stand out; this can benefit you. As I mentioned above, the Truedor range is split into three very distinct ranges. There is the Traditional Range, designed for what you might call 'traditional' property types, but by no means are there just 'traditional' composite door styles. There are some incredible new designs based on the classic styles which bring a new and refreshing look to composite doors. There are 19 styles in total to give every homeowner in a traditional property the opportunity to really change the appearance of the front of their house. For me the cottage range is really exciting….There is the Cottage Range and for me this is really exciting. A range of doors which is ideally suited to restoration projects, keeping the charm and appeal of the property and giving the owners of these homes a real opportunity to choose a door to meet their desires. Finally, there is the Contemporary Range, strikingly modern with sleek designs and glazing, ideal for apartments, self-build or other very modern property designs. These doors have a very European feel and are perfect for the growing trend to individually design homes with a very different feel to the traditional property type. For apartment owners who also want to enjoy the benefits and design features of the Truedor range there is also a certified fire door. If you are installing composite doors you should take the opportunity to look at the Truedor range. It is outstanding, and it is supported by a company which is committed to trying to provide door options to meet the very specific wishes of consumers who have a very clear picture of what they want for their home. I am really happy to endorse the Truedor range.